Before we arrived in Prague in the Czech Republic, we did not know that beer making had such a history in this part of the world. We had a great stay in the medieval town of Cesky Krumlov. 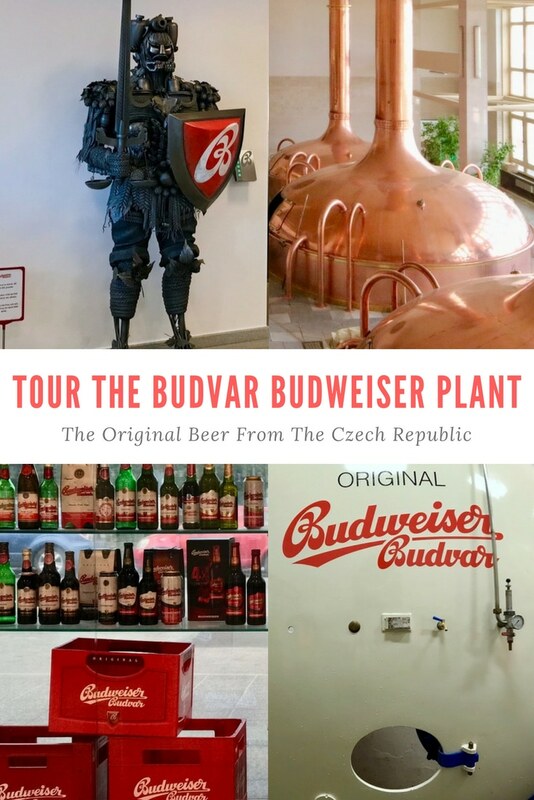 On our transit day to the small town of Slavonice, our first stop of the day was to visit the original Budvar Budweiser Brewery in the town of Cesky Budejovice. This stop at the beer factory was part of our Overseas Adventure Travel (OAT) trip. But we often make sure to visit local food and drink producers when we travel. 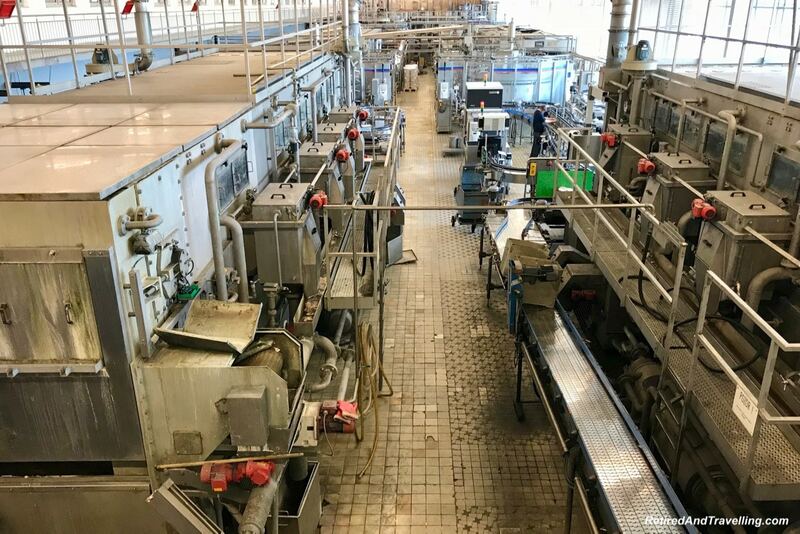 Our visit to the parmesan factory in Emilia Romagna Italy was a highlight of that trip. Winery visits to the Stellenbosch region in South Africa gave us a great insight into a whole new wine region. On our tour of the north coast of France, of course we had cognac in the town of Cognac! 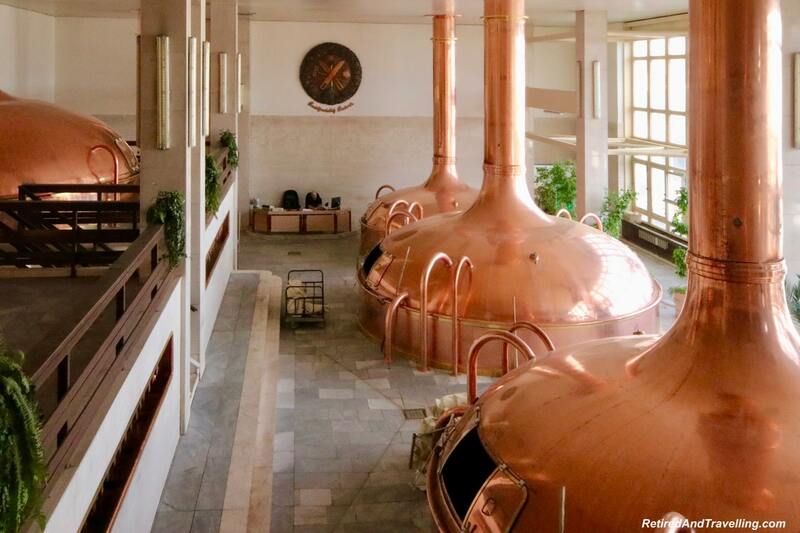 Learning the history of beer making in the Czech Republic was a natural stop for us. We started in the shop with a short video. There was a lot of controversy over the trademark ownership to the name “Budweiser”. 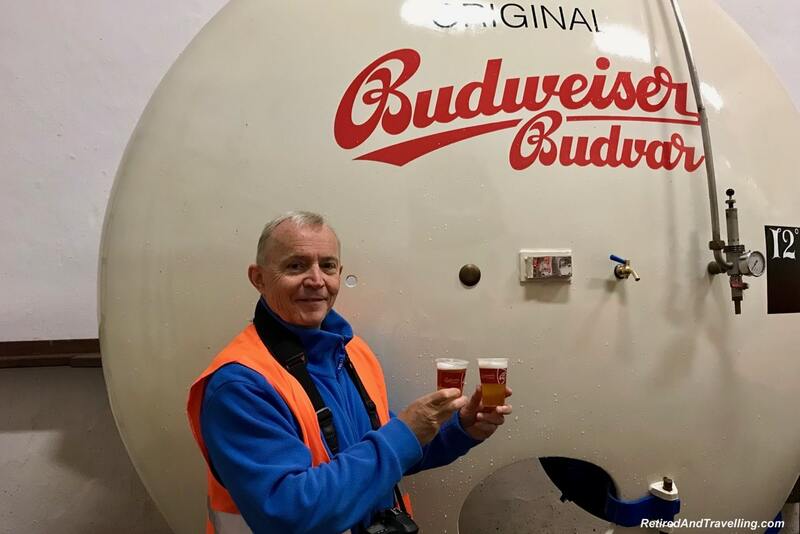 As a result, Budweiser Budvar has the rights to the name Budweiser in much of Europe and Anheuser-Busch InBev has this right in North America. 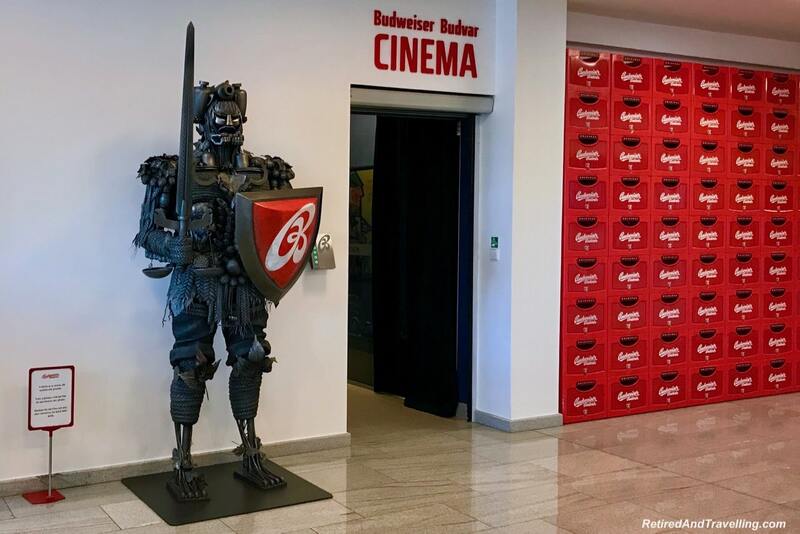 The video was a humorous portrayal of trademark ownership from the original Budvar Budweiser Brewery. 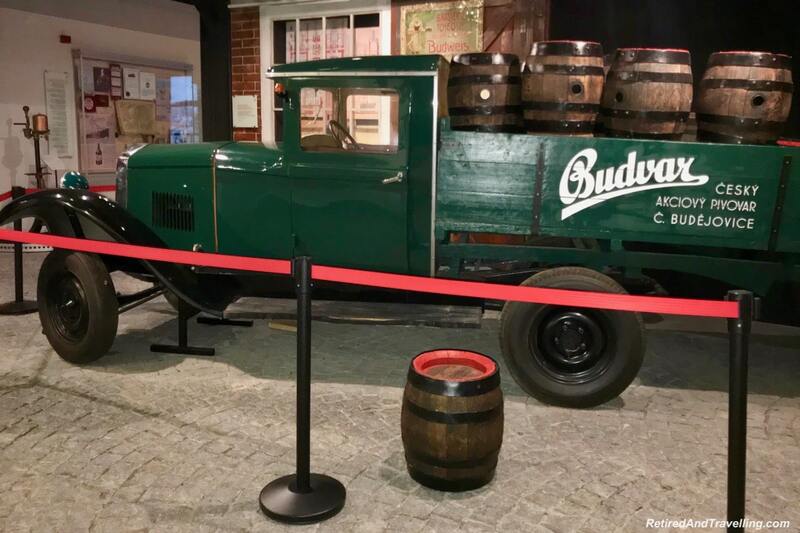 When we went to visit the original Budvar Budweiser Brewery, we started in the visitors centre. We got to see the wide range of beers produced in this factory. A walk through the museum showed us the history of beer making in this town. The original advertisements were clear reminders that this town was where it all started. 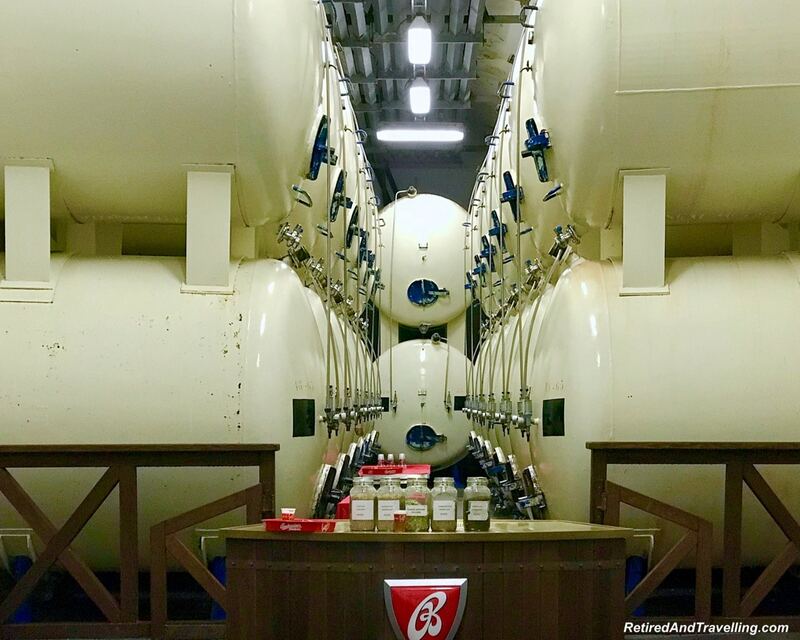 When we visited the original Budvar Budweiser brewery we got a great view of beer history. 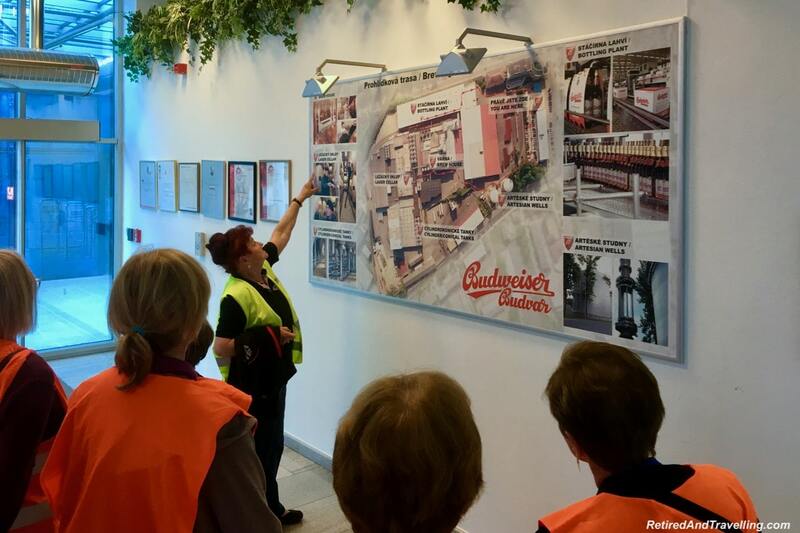 Our tour of the original Budvar Budweiser Brewery took us through the massive factory and we saw the beer making process. Beer has been brewed in this city since the 1200s. 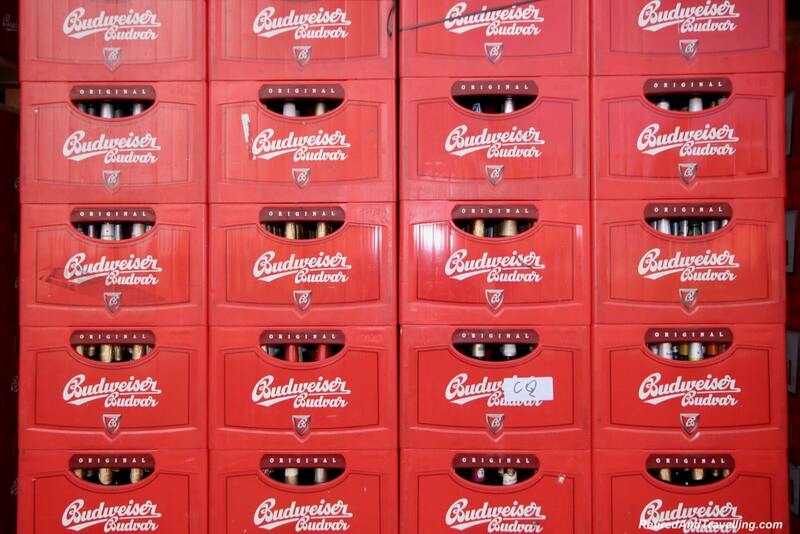 The original Budvar Budweiser Brewery factory opened in 1895. As we walked through the site, we saw huge storage facilities. They have space for about 90 million cans or bottles. Our first top was to see the two artesian wells at over 300 metres deep. The water temperature stays between 12 – 14°C and needs no chemical treatment. The local water is pumped up into two large tanks. Certainly the local water is one of the ingredients said to make this beer better. Hops for the beer are grown in the West Bohemia region of the Czech Republic and harvested in August / September. The malt comes from the Moravia region. 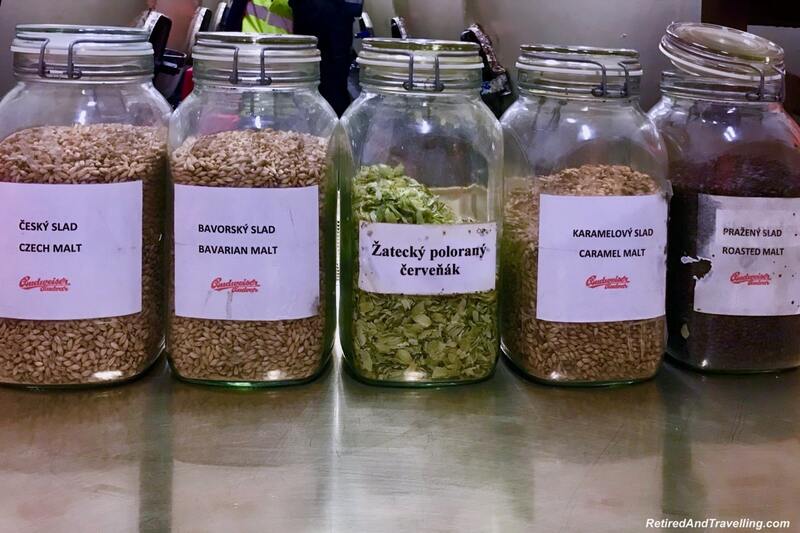 When we went to visit the original Budvar Budweiser Brewery, we got a view of what went into the beer. 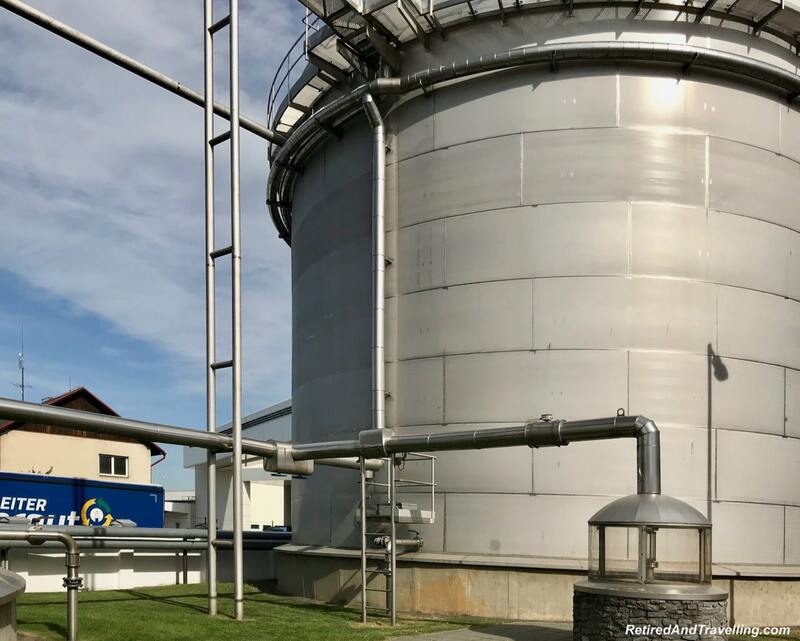 This factory brews typical Czech beers using bottom fermentation. As we walked through the facility we got a great view of the giant copper vats. This mashing stage creates a sweet non-alcoholic liquid called the “wort”. The wort is then further processed with water to create an “after wort”. When this is separated off, the remaining grain residues are removed and sold as animal food. The “after wort” than has hops added in stages as it is boiled. 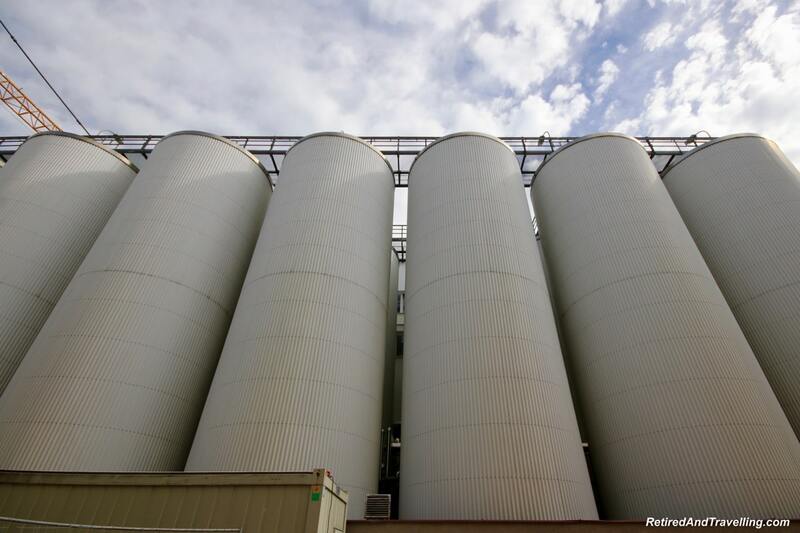 The “beer” is then sent to large cylindrical fermentation tanks. Yeast is added. And finally the beer is sent into maturation tanks for a second fermentation. 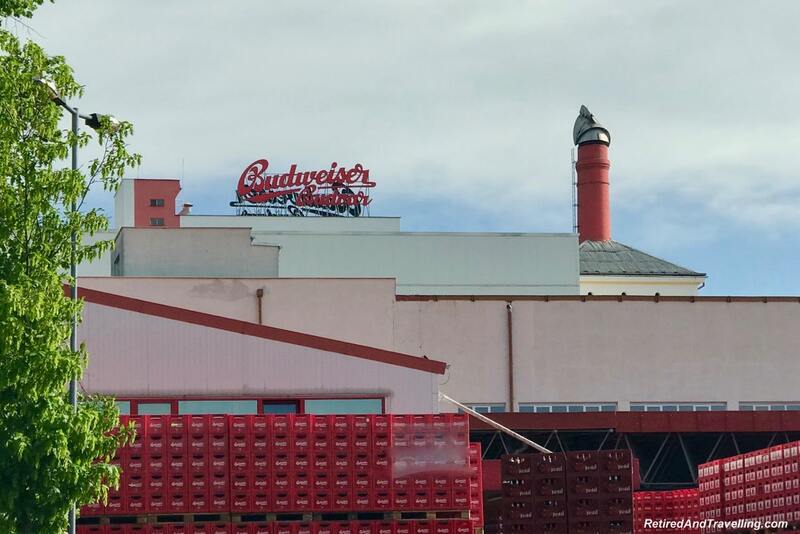 When we went to visit the original Budvar Budweiser Brewery, it was great to get a view of the process used to produce the beer. 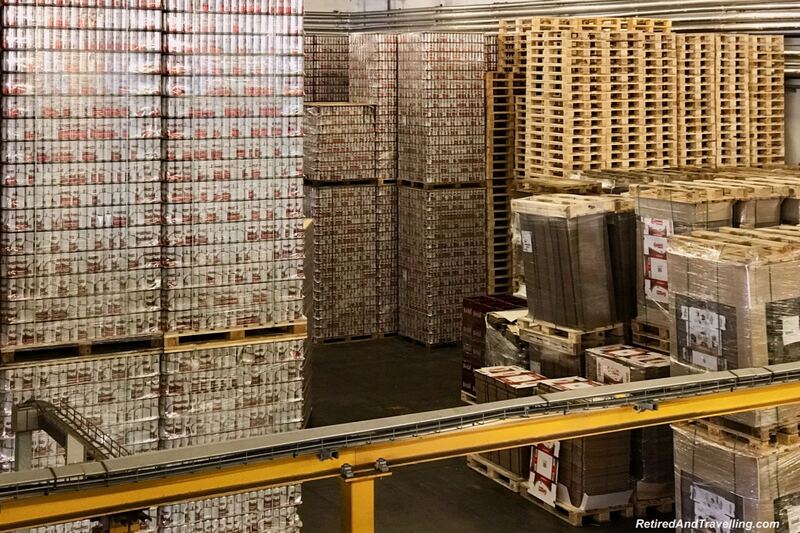 Once the beer was ready, it then went to the large factory to get it shipped to market. 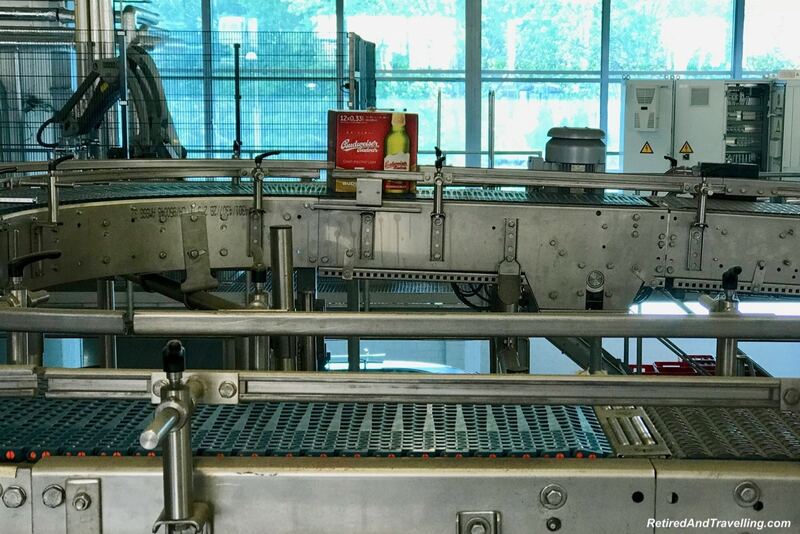 We saw different production lines to put the beer into cans, bottles or larger kegs. 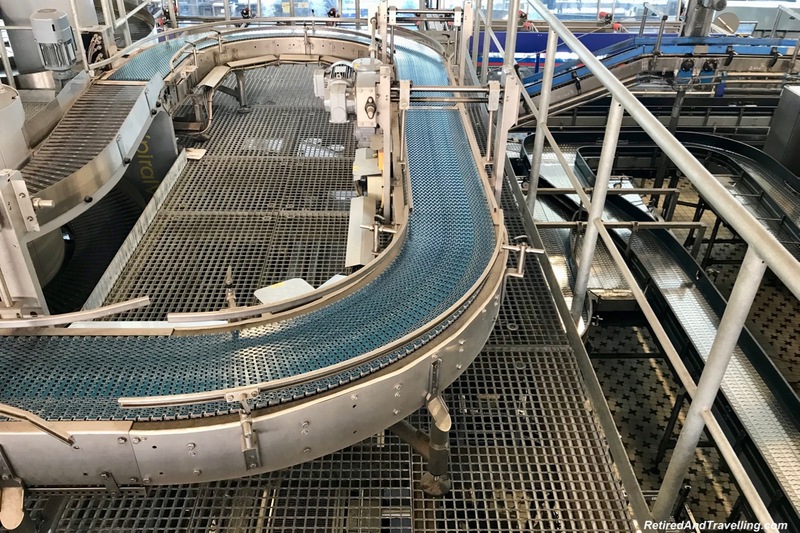 The lines were completely automated from bottle washing, to container filling to capping. They can process 25,000 cans per hour! Unfortunately it was the day before a public holiday and the factory was quiet. It would have been fascinating to see this process in action. 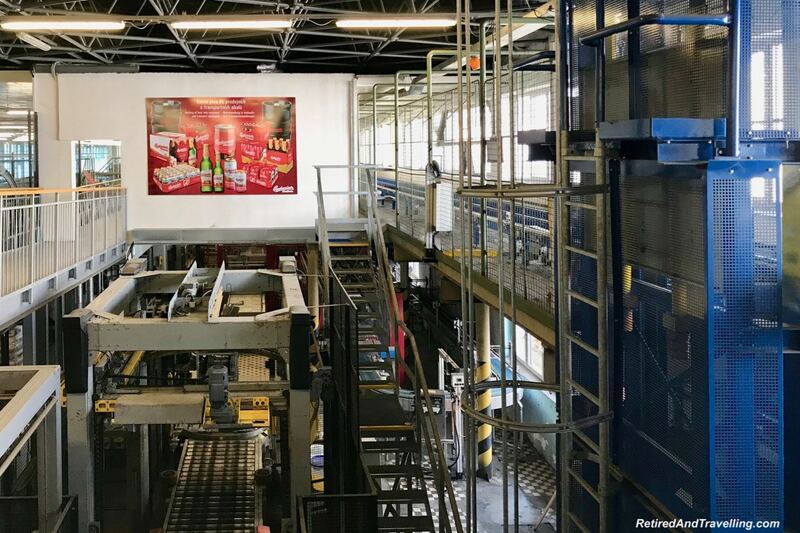 When you visit the original Budvar Budweiser Brewery, hopefully the beer packaging production will be fully operational. We stopped in the cellar where the beer was finished and kept at a temperature of around 3℃. We were shown the very different hops used for the 7 different beers produced at this plant. A smell test certainly showed how different the hops were. Two versions of beer are exported to America. At that point we got to taste test the local beer. It tasted not very different from much of the lighter beers we tried in the Czech Republic. The group used this opportunity to get their pictures to send home. Even though it was 10am in the morning, everyone participated in this stop. 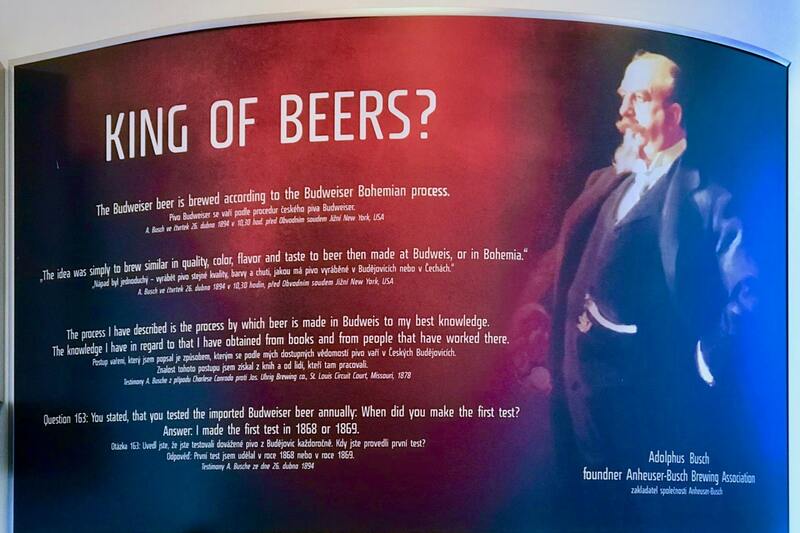 When we went to visit the original Budvar Budweiser Brewery, we definitely wanted to try the beer. Our visit to the Czech Republic let us see so many different facets of the country. At every stop, we certainly got to know that beer was a local favourite. 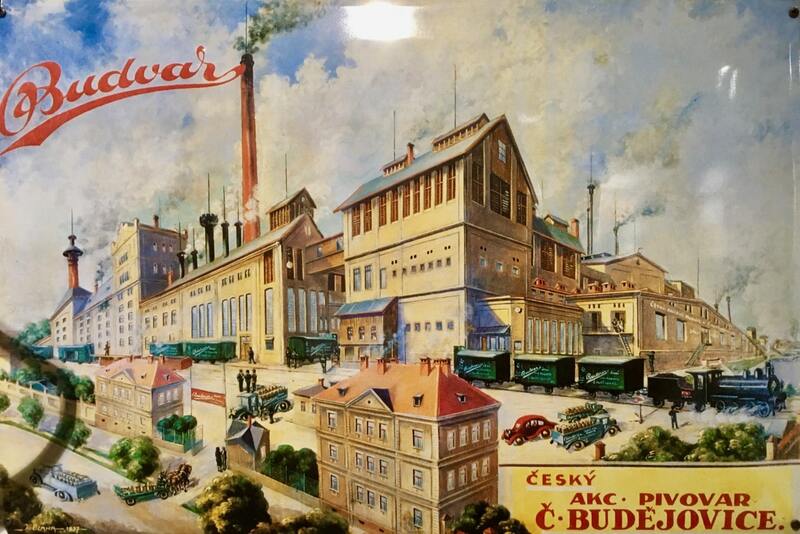 So it was great that we got to visit the original Budvar Budweiser Brewery on our transit day to stay in Slavonice. We would certainly think about Budweiser beer a little differently in the future! 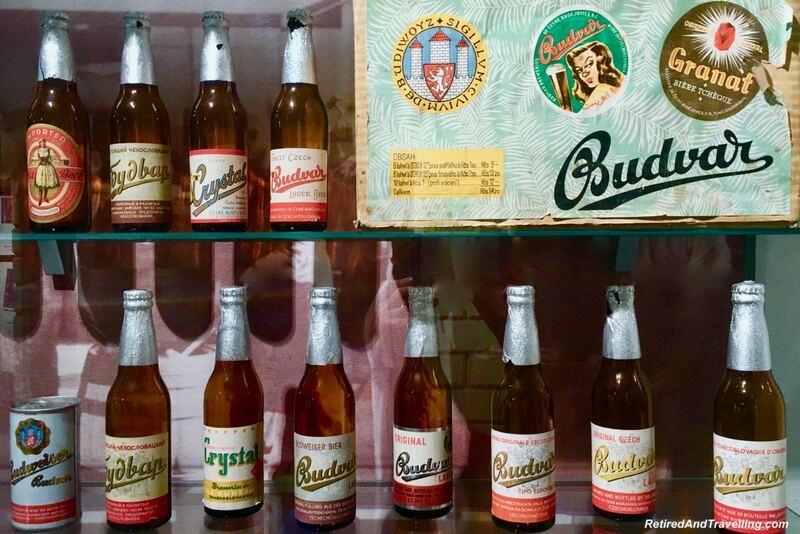 Did you visit the original Budvar Budweiser Brewery? Did you like the local beer? I’m not a beer drinker, and I don’t believe I’ve ever had an alcoholic drink before noon, but confess I tasted this beer and thoroughly enjoyed it…and the nap on the bus that followed! We love checking out breweries! 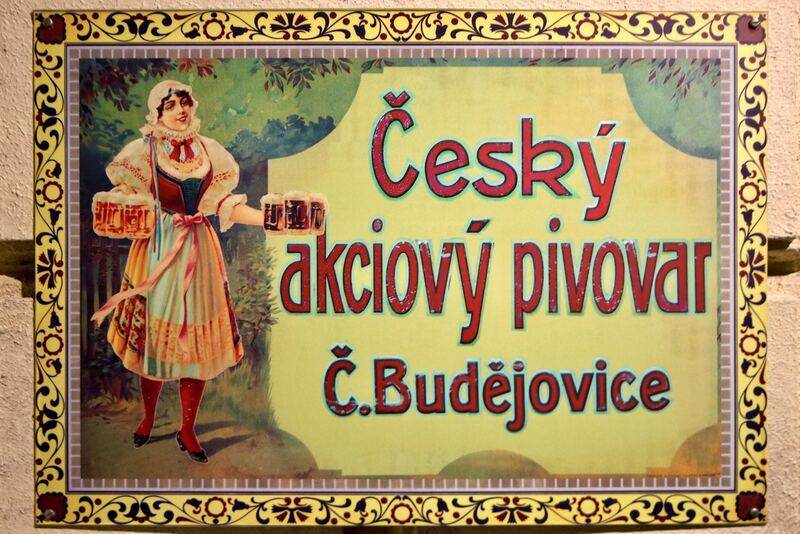 So we will have to add Cesky Budejovice to our travel bucket list. Thanks for sharing your entire tour! Loved learned how beer is made. And it’s so cool they let you behind the scenes like that. Would love to do a tour and tasting! Lol, I had no idea that Budweiser originated in this area – but I’m not much of a Bud drinker. 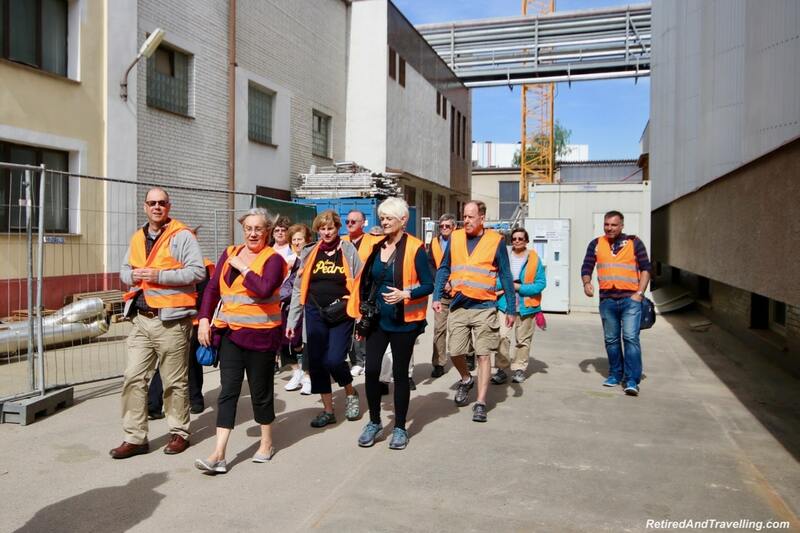 What a huge operation – it must have been fun to explore the entire place and see what goes on behind the scenes. 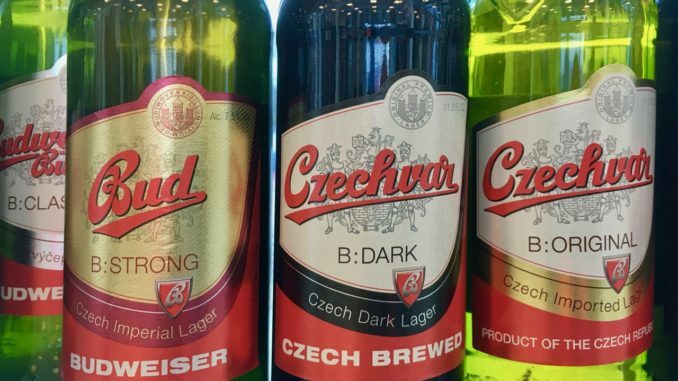 I have tried a bottle of this Czech beer or two, they do sell it in the UK, very nice. The smell in the brewery must have been amazing. 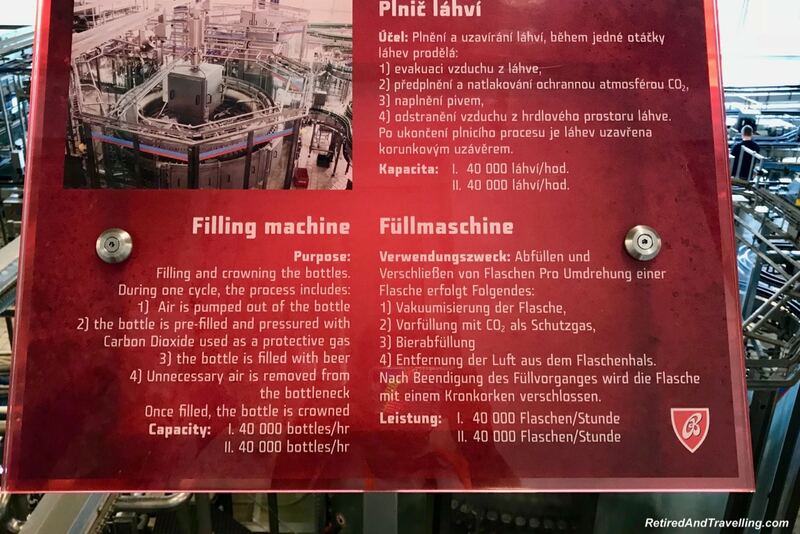 The Czechs do know about beer making. This reminds me of the Heineken Tour we took in Amsterdam 🙂 I’m not a fan of beer but its always nice to visit breweries or museums to learn how hop is made. 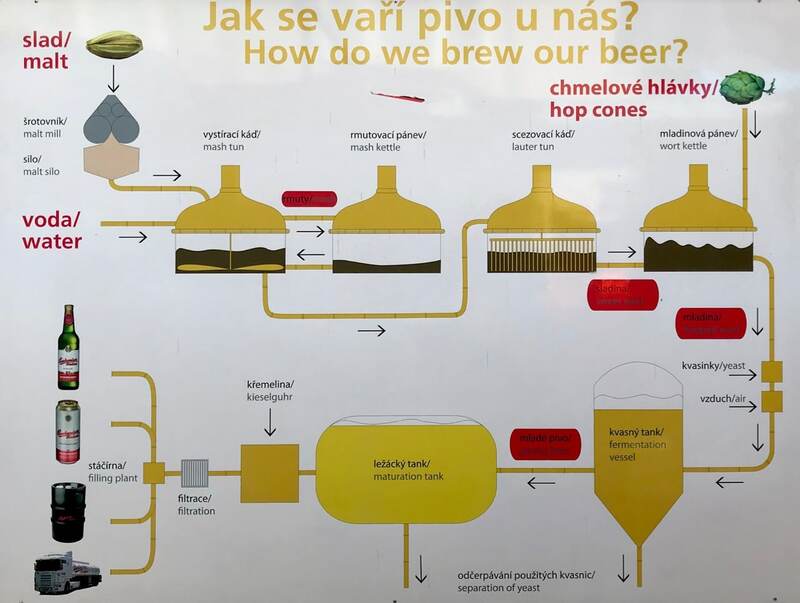 Czech Republic has an amazing beer culture and I am sure this experience in Cesky Budejovice would’ve been worthwhile. 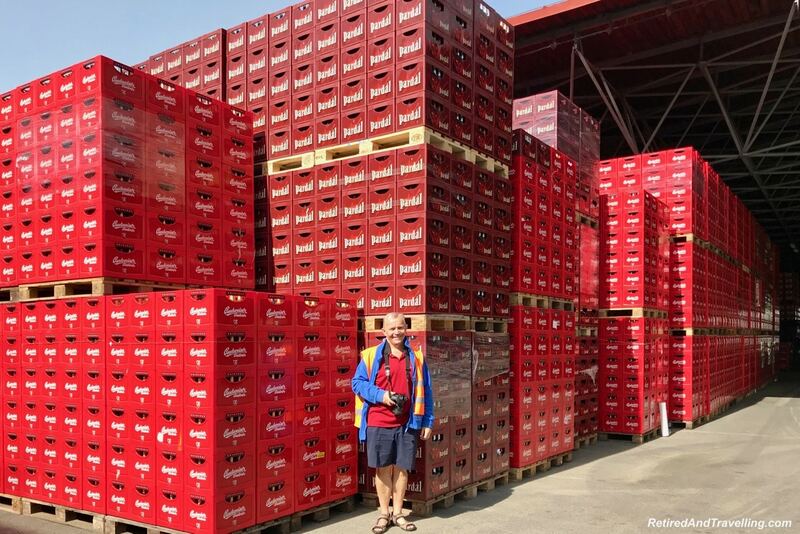 This sounds like paradise for a beer lover. We didn’t get to do this in Prague but we did have the chance to do a city pub crawl and the beer scene really is amazing. This post is making me thirsty. I want to tour (and sample) the King of Beers too! I also really want to visit the beer spa, which is around there somewhere. What a fun way to explore a country known for their beer. This is the kind of “educational trip” I wouldnt get bored at! haha Really huge place. Now I want to go to Czech Republic even more! I love learning the history of beer in each country I visit. Beer is a unifying connection to everyone history. The tour looks like a lot of fun and getting to see the entire brewing process. I love getting to try local beers around the world. I learned so much about making beer because of this post. That must be a very fun experience!